Coaching requires a vast skill set. You need to be a good teacher but sometimes you need to apply some good parenting skills to your approach. You only have responsibility for one part of the child’s life - and for many of those kids it is the part that is their hobby, obsession, passion or spirit. Some kids are in basketball to have fun, some to blow off steam, some to escape, and others because they have a dream of going pro some day. Still others are there because their parents are making them participate. Chances are that unless you are coaching an elite youth team you will have a mixed group of kids with varying motivations and reasons for being there. As their coach, you have a responsibility to do the job with the best interest of each child in mind, because they all make up the team. If you want to be an exceptional coach you will find a way to reach each and every one of them, helping them be the very best they can be and meet their goals. This is not a journey that you have to take alone. 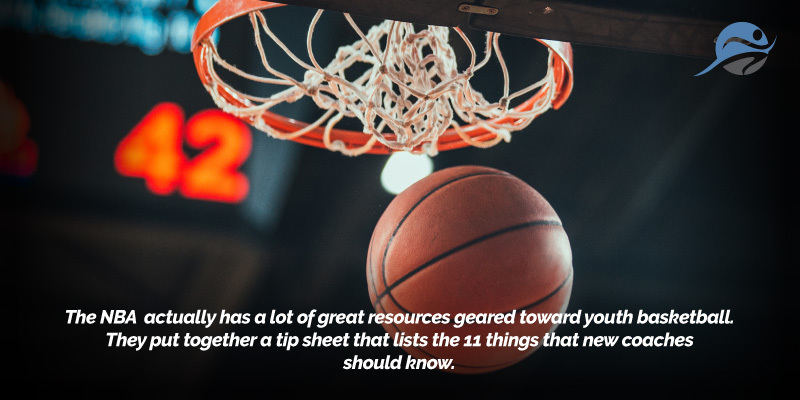 There are many youth basketball coaches that have come before you, and fortunately many of the greats have shared their wisdom with the world so that you can benefit from it. Here at HustleTraining we do this every day. We collect the best knowledge, tools, and tricks out there and hand them back to you in our blog, our website, and in our app. We hope this post inspires you on your coaching journey and we look forward to sharing so much more in the future. Aspirations and motivation can suffer from the cumulative effect of these “mini-disasters,” which also set the tone for how students treat each other. On the other side of the coin, correct pronunciation can help “develop trust and rapport,” according to Christine Yeh, a professor at the University of San Francisco School of Education. While this is borrowed from a football coach, The Art of Manliness, its lessons and applications are equally applied to basketball. Positive reinforcement is key when working with kids. I have seen too many young athletes cower and wilt under the negativity they receive from exasperated coaches. Believe me, there are few things as frustrating as trying to teach 7-year-olds how to wrap up. But kids don’t respond well to negative criticism; it only makes them less confident and more hesitant — the complete opposite of what any coach wants. When you instead make positivity the primary driver of instruction, you reinforce the good, which makes the kid more receptive and open-minded to constructive feedback. This approach comes from research I’ve done in behaviorism and operant conditioning; positive reinforcement as a method of instruction has proven to be much more effective in helping students of all kinds adopt the right behaviors and skills. While it sounds really soft, there is actually science behind the principle. “Positive reinforcement works by presenting a motivating/reinforcing stimulus to the person after the desired behavior is exhibited, making the behavior more likely to happen in the future.” (Source). As opposed to negative reinforcement or even punishment. We could not agree more with this wisdom. We leave you with the words of Dean Smith, University of North Carolina Men’s Basketball, arguably one of the most talented coaches out there: "What to do with a mistake: recognize it, admit it, learn from it, forget it."